I’ve been looking for an excuse to do burritos for along time now, and the contents of the freezer have provided that opportunity! 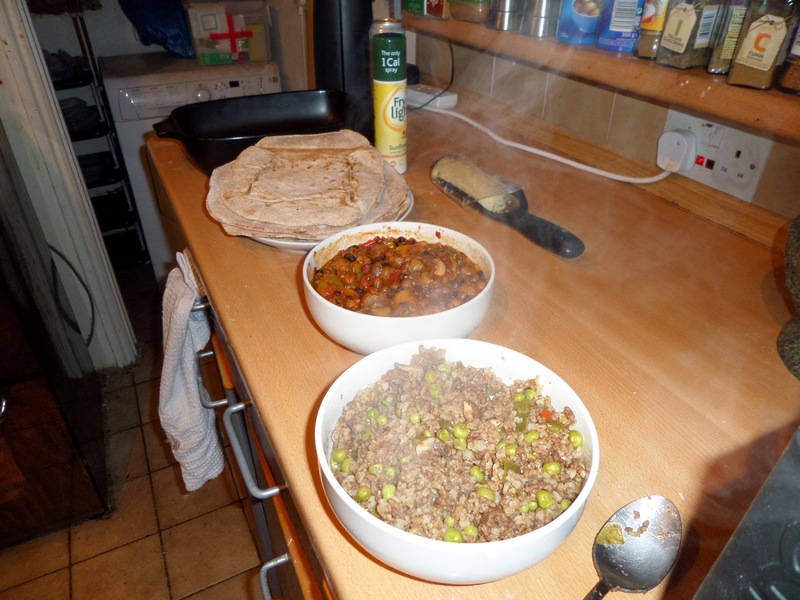 We’ve got two of Soph’s healthy weeknight staples: a veg chilli, along with a turkey pilaf, which when combined shouldn’t be far off the chilli & rice you’d expect to find in a burrito. I’m making my own flour tortillas, like I’ve done before, but with wholemeal flour as we’re doing healthy tonight :) These only need about 10 minutes to crisp up in the oven, and I’m not sure that’s enough time to heat through the filling, so I’m going to microwave the fillings before baking them. 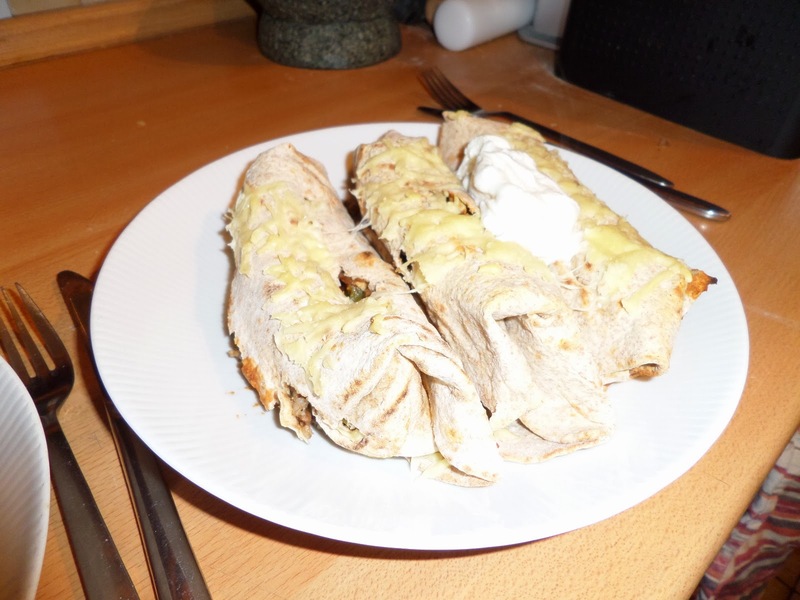 Then: a layer each of the microwaved pilaf and chilli go into each tortilla, which then get rolled up and put in a baking dish, and half-fat cheddar gets sprinkled on top. 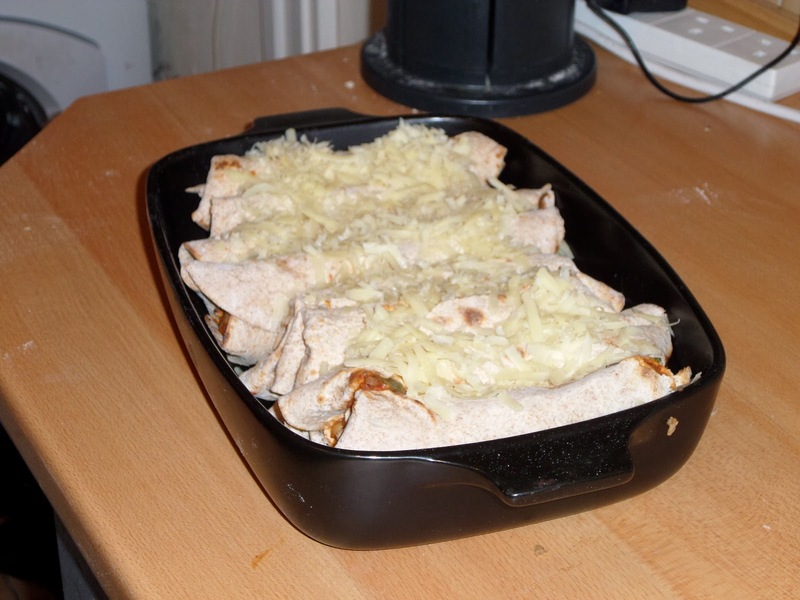 Sounds easy but rolling the tortillas is rather fiddly, but it worked out OK in the end.